Today's piece is duet No. 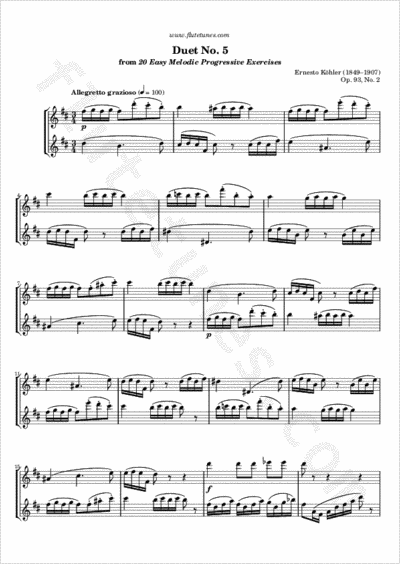 5 from the second volume of Ernesto Köhler's Twenty Easy Melodic Progressive Studies, Op. 93.